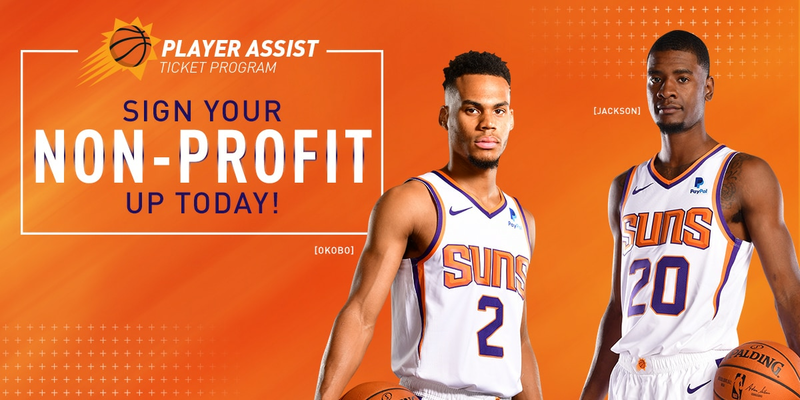 Phoenix Suns Player Assist Ticket Program provides nonprofit organizations, schools, community groups and charitable organizations the opportunity to enjoy a Suns game during the 2018-19 season. Submitting an online request does not guarantee that your organization will receive a ticket donation. If your application is accepted, your organization will be contacted as tickets are available. PLEASE NOTE - Each group's ticket usage will be tracked. Failure to use 70% of the tickets provided may result in denial of future requests.